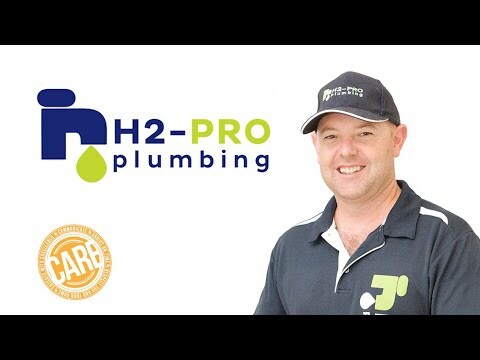 H2-Pro is proud to offer the most comprehensive range of domestic and emergency plumbing services in Melbourne’s northeast. From basic plumbing repairs like leaking taps or running toilets to complicated plumbing strategies including kitchen and bathroom renovations, our friendly, licensed, and insured plumbers are available 24 hours and 7 days a week to help out. We love local – we live in the area, shop at the local stores, and our kids go to school here! We support our community through various initiatives including supporting local sports teams (go the Junior Bloods! ), raising funds for important charities, and sharing our passion for the Who Gives A Crap initiative. When you call us, you won’t be diverted to a call centre or forced to leave a message on our answering machine – you’ll speak to me, Tony, or one of my awesome team, and as we work local, we strive to minimise your wait time. Give us a go – you’ll be glad you did! Live locally? Join our rewards program to receive 10% off all plumbing jobs – for life! Slow-rising water every time you flush your toilet? Does your sink fill up when your dishwasher is on? These odd quirks might be the result of a blockage, deep within your pipes! A hidden leak deep within the walls of your home can cause some serious damage to the foundation of your home’s walls and structure! Put a stop to shivering through an icy cold shower with rapid support from your local plumbers! We’ll inspect your system to ensure its working at its best, and proving the right course of action. Drip, drip, drip! Not only is a leaking annoying, but it also wastes water! Put a stop to that unnecessary drip with rapid-response plumbing support from H2-Pro! From mild inconveniences like a running toilet to disastrous sewer backup, your toilet is sensitive and must be treated with care! If you’ve run into toilet troubles and need help now, call us! 1000 homes are ready to connect to Warrandyte’s new sewer. Is your home one of them? You need a qualified plumber to manage the connection and ensure a seamless experience. H2-Pro are plumbers in Doncaster specialising in all types of domestic plumbing including emergency, maintenance, and repairs. Our emergency plumbers are available 24 hours a day and 365 days a year, offering you urgent plumbing services. If you live in Doncaster, Warrandyte, Eltham, Templestowe, or any other surrounding suburb, you can rely on the H2-Pro team at any time of the day or night! Do I need an emergency plumber? Experiencing any of the following plumbing disasters? Don’t hesitate to call our Doncaster plumbing team – now! Bottom line: if it can’t wait until morning, you need an emergency plumber! For emergency plumbing assistance, call 9844 1444. 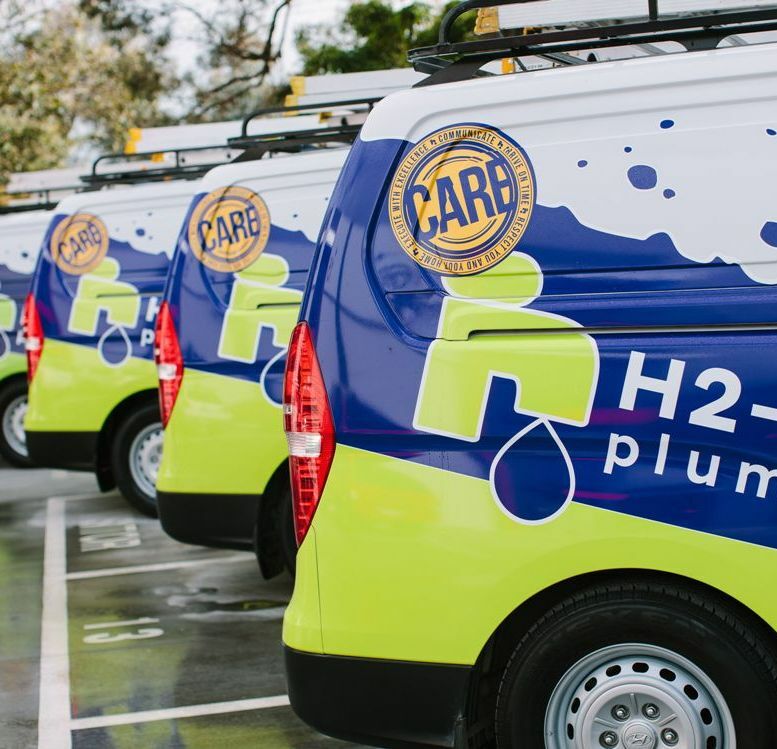 Why choose H2-Pro’s team of plumbers? With a strong focus on community, Tony and the team are proud to support local organisations, businesses, and sports teams. We encourage locals to sign up today to benefit from our extraordinary offer: 10% off your plumbing for life! Click here to join. We are proud to have been awarded the Manningham Business Excellence Award in 2014 and 2015, and WOMO Service Award in 2017. I’ve had Tony and his team out a few times over the years and couldn’t recommend them highly enough. It’s great to see a business setting themselves apart from the rest by being so consistently friendly and reliable. I am happy to recommend H2-Pro. Tony and Nathan were prompt, efficient, informative, friendly and polite. We are now enjoying our new hot water system. Nathan was meticulous in tidying up and took away all the rubbish. Great service, particularly as it was a weekend call out. Dave was prompt, great to deal with and professional. On time arrival, friendly and efficient. Quote was given on the spot before commencement of any work, so there were no surprises. Price was very competitive and fair but what is more important was the way they carried out the job. Clean and fixed the first go. Thank you Dave and the team. Highly recommended if you need any plumbing service! I've had Tony and his team out a few times over the years and couldn't recommend them highly enough. It's great to see a business setting themselves apart from the rest by being so consistently friendly and reliable. On time arrival, friendly and efficient. Quote was given on the spot before commencement of any work, so there were no surprises. Price was very competitive and fair but what is more important was the way they carried out the job. Clean and fixed the first go. Thank you Dave and the team.Highly recommended if you need any plumbing service! Concentrating on Melbourne’s northeast suburbs means we can deliver a rapid response to homeowners across Doncaster and surrounds. We not only work in the area – we live here, too, so we know it like the backs of our hands. We’re also dedicated to supporting our local community including sports clubs and local shops and cafes.